Shark Week is back! That may be all well and good, but what is it you ask? As its name suggests, Shark Week is a week devoted to sharks that proves to be some of Discovery Channel’s highest rated programming all year. 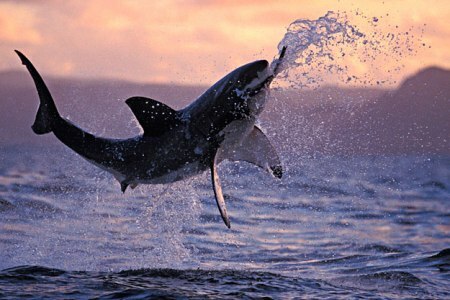 The Discovery Channel began its Shark Week in 1987 and it has been a hit ever since. Developing a cult-like following, Shark Week, which began this year on August 1, features documentaries and educational shows on sharks for seven days straight. The popular summer series has become cable’s longest running and most watched event. It has even drawn the attention of celebrities who have stopped by in the past to help celebrate Shark Week including Peter Benchley (the author of Jaws), model Heidi Klum and Dirty Jobs’ Mike Rowe. The Late, Late Show host Craig Ferguson will host the segment Shark Bites this year. He will be getting up close and personal with sharks in the Bahamas as he swims, touches, and, if he dares, feeds the dangerous beasts. This year’s programming will include Shark Attack Survival Guide, Into the Shark Bite, Shark Bite Beach, Day of the Shark and much more.